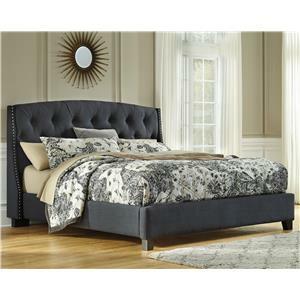 A sleek modern vibe fused with the relaxing warmth of the leatherette headboard will create a casual yet sophisticated look. 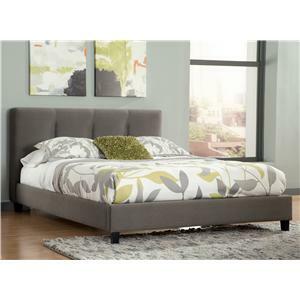 The Villa Park Contemporary California King Bed with Upholstered Leatherette Headboard by Furniture of America at Furniture Superstore - NM in the Albuquerque, Los Ranchos De Albuquerque, Rio Rancho, Santa Fe, Corrales, NM area. Product availability may vary. Contact us for the most current availability on this product. CM7007CK-FBR Footboard Component 1 0" 0" 0"
CM7007CK-HB Headboard Component 1 0" 0" 0"
Browse other items in the Villa Park collection from Furniture Superstore - NM in the Albuquerque, Los Ranchos De Albuquerque, Rio Rancho, Santa Fe, Corrales, NM area.